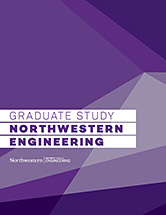 Northwestern's MBP program teaches students the importance of communication and offers training to develop the necessary skills. As a scientific communications consultant, Marina Damiano helps scientists explain their research in a way that resonates with people who have no knowledge of the work. 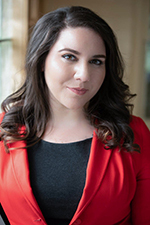 Damiano has a PhD in chemistry from Northwestern and runs her own scientific communications consulting practice where she works with academia, industry, and government. From her time researching nanoparticle-based alternatives to chemotherapy to her work as a consultant, she has seen a common love and excitement for research among scientists she's interacted with. Unfortunately, she's also seen a frequent inability to communicate the significance of the research. "STEM researchers are so passionate about what they do, but they don't always have a compelling answer to why their research matters," Damiano said. "It's sometimes hard to develop that perspective because they're so entrenched in their research, but if they can't articulate their 'why', it's going to be hard to convince committees, funding organizations, collaborators, customers, and public audiences why the research matters." Administrators in Northwestern Engineering's Master of Science in Biotechnology program (MBP) made the same observations as Damiano. That is why the program places a large emphasis on students developing their communications skills, including offering a quarter-long course called Critical Thinking and Communication. Damiano, who is an adjunct lecturer at Northwestern, teaches the MBP communications course, which offers a combination of individual and group discussion, writing, video, visual, and speaking exercises that are designed to encourage students to cultivate new approaches to thinking about their research and the ways they communicate it. Lachelle Brooks (MBP '17), who currently is an associate scientist at Abbott, said she constantly finds herself relying on the communications lessons she learned during her time in MBP. "The communication skills I learned are constantly put to use for me," Brooks said. "There has to be a lot of clear and constructive communication in order to assure everything is done correctly." Brooks' testimonial is a common claim made by MBP alumni — something Damiano and the program's administrators take pride in. "This 'whole brain' engineering approach of integrating the analytical and technical with communication and other creative skills is a differentiating element of the MBP curriculum and a commitment of the McCormick School of Engineering," Damiano said. "By cultivating these skills, our students are better prepared for life after graduate school, not only in their initial job searches but as leaders in their careers."